While the focus on Mars and committment for continued robotic exploration is valuable and commendable, what is important to look at is what is not on the table. 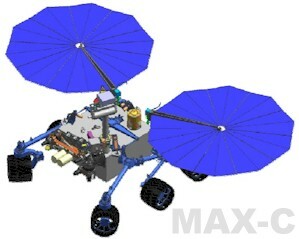 The Mars sample collecting rover which was planned for 2018; the Mars Astrobiology Explorer Cacher (Max-C), which was the first element of a long-planned Mars sample return (MSR) series of missions. A complete, round-trip Mars sample return mission. One to three missions to not just collect soil, air and water samples, but to actually return them to Earth for analysis. Other precursor missions in specific support for a human landing by about 2030. Non-MSR missions might include scouting water-rich landing sites and lava-tube caves suitable for habitat protection. Building a crewed lunar research base is also an essential precursor for a successful Mars landing. A successful round-trip MSR is essential to provide knowledge about the possibility of life before we send humans to Mars; to reduce the risk of potential contamination of Earth upon their return. It is the one essential precursor mission before sending humans to the surface. A MSR would also provide samples for non-biological studies; delivering results not possible from dozens of rovers. Half a kilogram in Earth labs can be analyzed in so many ways impossible on Mars. By eliminating the sample collection function, NASA has ignored the long-standing advice of the authoratative planetary exploration report, the 'Decadal Survey,' which stated "NASA's highest priority large mission should be the Mars Astrobiology Explorer Cacher (Max-C), a mission to Mars that could help determine whether the planet ever supported life..."
A MSR is the single essential precursor for ever landing humans on Mars, however by spending funds on everything but MSR, we risk perpetually keeping human landings far in the future. 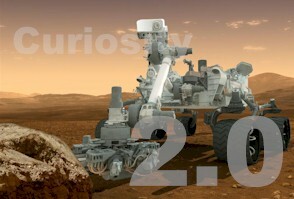 This next-generation rover may therefore push a MSR to the 2030's, and by extention a human landing to the 2040's. If humans are to set foot on Mars, at some point we must stop dispersing scarce funds on everything but MSR. Beyond the scientific aspects, the question must be asked if the public, which eagerly watched Curiosity's landing, will be as interested in an apparent, though more advanced, repeat of Curiosity. The Coalition to Save Manned Space Exploration believes a better investment of scarce resources would be to outfit this rover to carry out the Max-C's sample collection mission, and to make as the top NASA priority the return mission to bring home the cached samples. 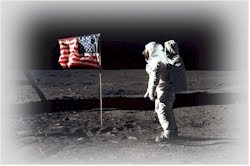 To do otherwise is a signal that NASA's goal of landing Americans on Mars in the 2030's will not happen.